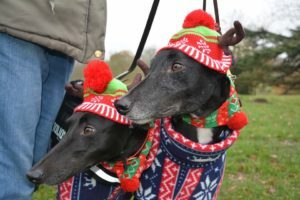 Greyhound Walks always celebrate their Christmas time walks in style and this year, for the walks that went ahead, 2017 was no exception. 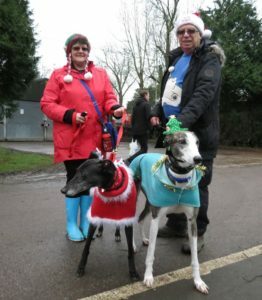 Brandon and Rickmansworth had a great turn out of festively dressed greyhounds, sighthounds and humans who really did not mind getting into the spirit. Thank you for the great pictures posted to Facebook, here are just a few. Oh yes we can sit for a sausage! Royston and Notley didn’t fare so well due to snow! 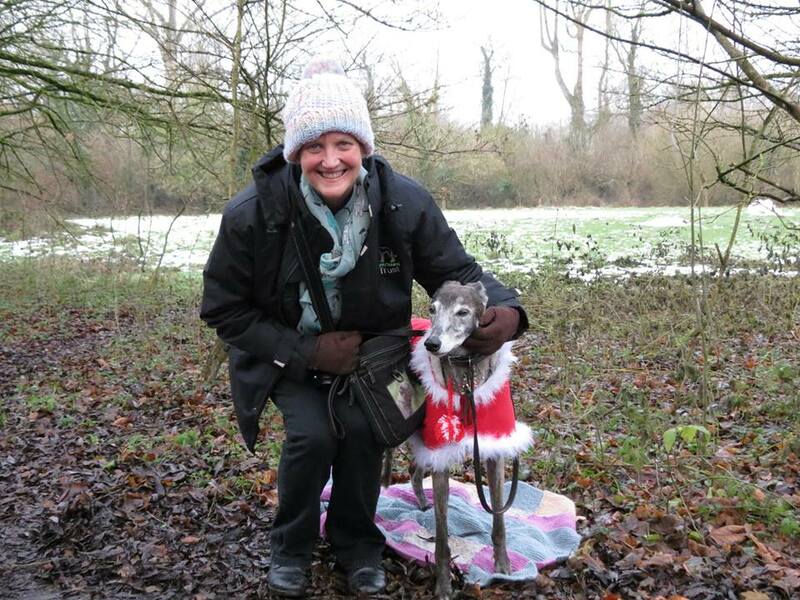 Yes that elusive weather that we all yearn for descended with a vengeance blocking the roads and keeping the sensible people inside and their sighthounds keeping warm in very cold and chilly temperatures. Our Notley walk leaders ventured out but headed back to the safety of home pretty quickly. 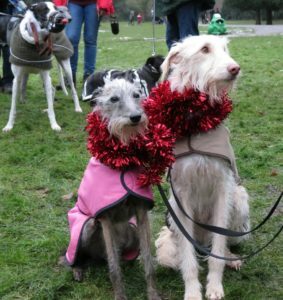 Our next walk is on New Years Day at Hylands Park Chelmsford, lets hope for dry, warmish but seasonal weather then! 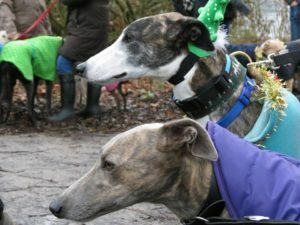 Wishing all our supporters and friends be they 2, 3 or 4 legged a very very happy new year.